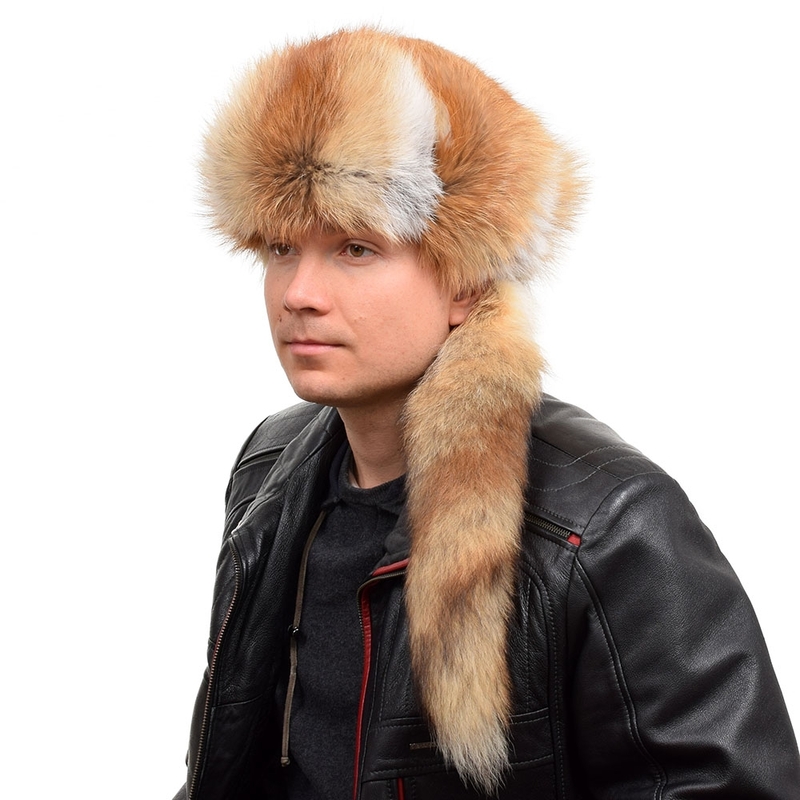 Very warm and stylish winter hat made of high quality genuine red fox fur. 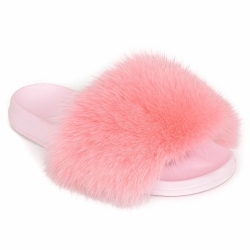 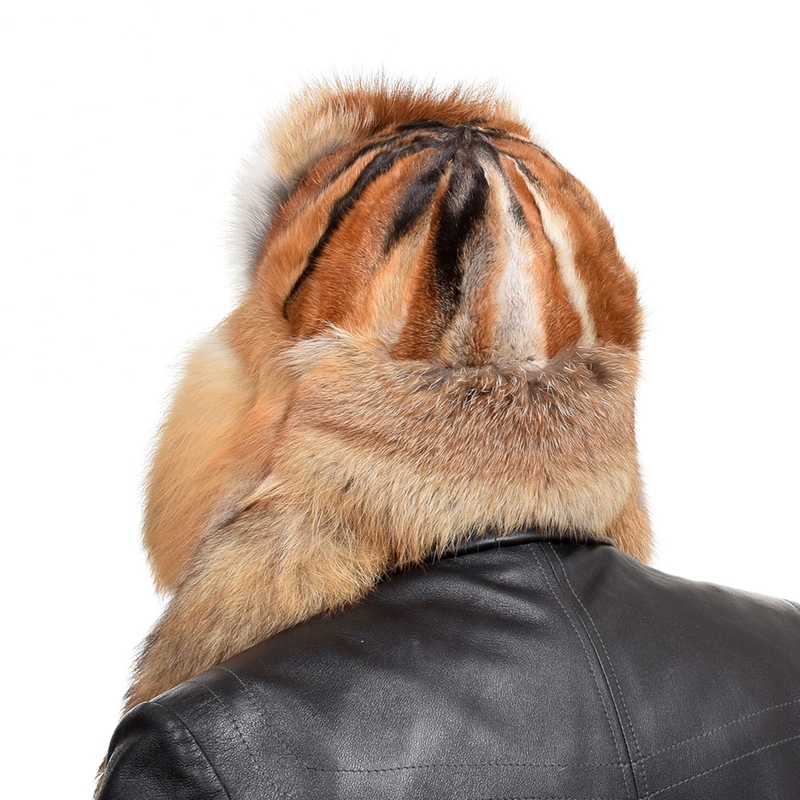 The top of the fur hat is made of genuine fox paws. Fur ushanka hat can be easily transformed. 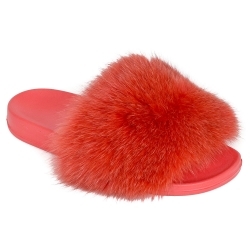 The ear flaps can be worn down for extra warmth or be tied on the top of the head. 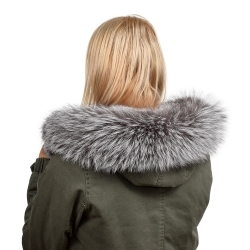 The fox tail has a silver carabiner clip, so it can be easily attached to the hoop sewn in the hat. Fur cap efficiently protects head, ears and neck from the cold. 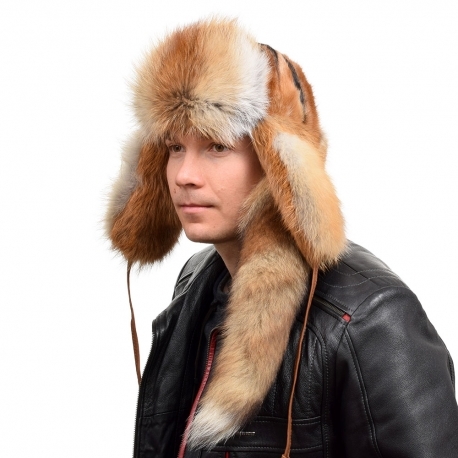 Ushanka cap will surely create a sensation in the streets and the ski slopes. 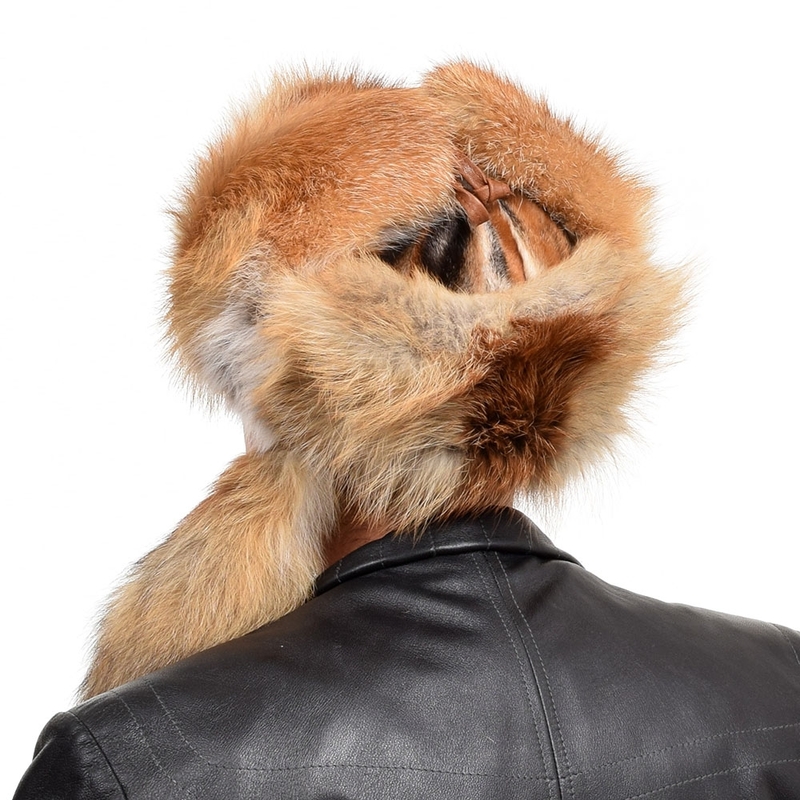 The top of the fur hat is made of genuine red fox paws.